GRAMBLING, La. (March 16, 2018) – As part of its Women’s History Month, Grambling State University celebrates a number of phenomenal women from its community who have helped women across the nation and the world rise. Thank you to Renee Hall for helping lift Grambling Women Up. 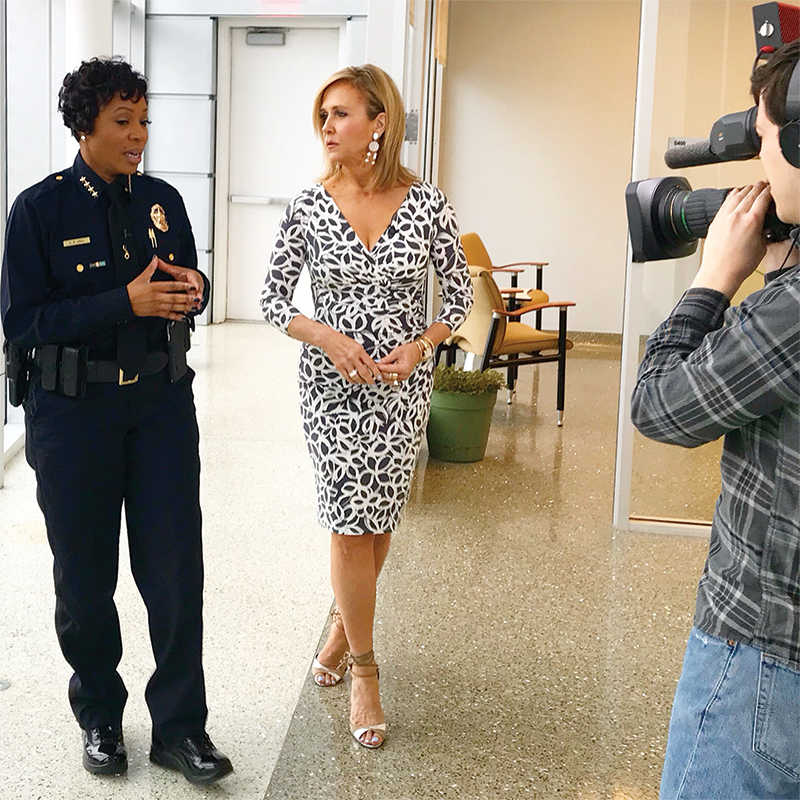 Renee Hall, an alumna of Grambling State’s Criminal Justice program and the first female police chief in Dallas, Texas, has a long record of helping grow her industry and women’s achievement. Hall, who previously served as deputy chief of the Detroit Police Department, was hired as chief in September 2017. But, that’s not where her contributions started. Hall received a bachelor’s degree in criminal justice from Grambling State in 1994 and master’s degrees in security administration and intelligence analysis from the University of Detroit Mercy. A graduate of the FBI National Academy, she also completed the Police Executive Leadership Institute and is a member of the International Association of Chiefs of Police. She was recently appointed special assistant to the president of the National Organization of Black Law Enforcement Executives. In March 2015, she was selected as one of Michigan Chronicle’s Women of Excellence. She has also been honored as “Woman of the Decade” by the Native Detroiter Magazine. She is a member of Delta Sigma Theta Sorority, Inc. In Dallas, she has already completed a departmental reorganization to trim administrative staff, and is focused on neighborhood policing, recruiting new officers and community service. This entry was posted in Uncategorized on March 26, 2018 by Greta Carter.